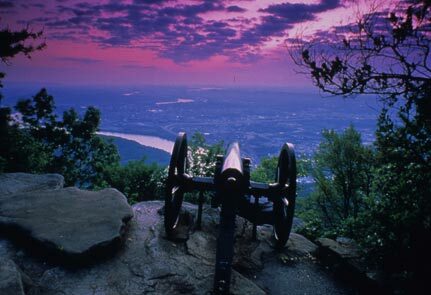 Chattanooga from above, a good bit larger than it would have appeared to the Boy Battery’s gun crews from Lookout Mountain in 1863. Photo via the state’s new Civil War Sesquicentennial web site. Take a look. Despite its reluctance to secede, Tennessee was second only to Virginia in the number of battles and skirmishes fought across its varying terrain. This entry was posted in Boy Battery, The Sesquicentennial and tagged Knoxville 1863, Lookout Mountain. Bookmark the permalink.